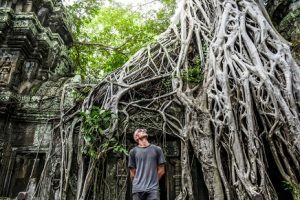 Award-winning flexible travel expert, Busabout has launched its Asia 2019/20 brochure featuring a selection of exciting new trips and bucket list experiences. With a maximum group size of 28, the Busabout Asia collection offers a variety of trips for different tastes and budgets, plus the opportunity to experience all trips in the brochure, linked up via the Unlimited Asia Pass. Following the success of Busabout’s Hop-on Hop-off model in Europe, the operator will launch its freestyle form of travel in North America for the first time in May 2019. Busabout has also been expanding its product in Asia over the past four years and introduced the Unlimited Asia Pass to the programme this past season. 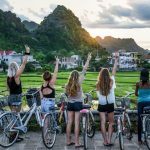 In an effort to offer its passengers deeper cultural experiences and local encounters in Southeast Asia, Busabout is now working with more local Busabout Guides than ever before, bringing with them a wealth of knowledge and cultural insights, and a great understanding of what passengers want out of a Busabout holiday. The new three day Bangkok to Kwai Adventure is the perfect guided mini break which clients can incorporate into their existing travel plans, or combine with another Busabout trip (such as the seven day Thailand Adventure). Starting and ending in Bangkok, Busabout passengers will travel via private van and river boat with a local Busabout Guide to visit popular attractions surrounding the city that are not so easy to navigate solo in a short timeframe. This includes attractions like the Damnoen Suduak Floating Market, the Meklong Train Market (where a train drives through the middle of the local market 11 times each day), the beautiful River Kwai where passengers enjoy an overnight stay on a floating river hotel, and Ayutthaya Archaeological Park. Priced from $739 per person. Also starting in Bangkok, the new 17 day Ultimate Southern Thailand Adventure includes the local attractions and markets visited in the Bangkok to Kwai Adventure and then continues south to the jaw-dropping jungles of the Khao Sok National Park. Passengers will then splash, dance, and munch their way through the idyllic islands of Phuket, Krabi, Koh Lanta, and Koh Phi Phi on the three-week adventure. Priced from $2,659 per person. Departures for both new trips begin in November 2019. For the first time in 2019, Busabout travellers will visit Vietnam’s latest Instagram hotspot, the Golden Hand Bridge in the Ba Na Hills. The pedestrian walkway has been attracting tourists from all over the world since it opened this past summer and has a starring role on the front cover of the Busabout Asia 2019/20 brochure. All passengers travelling through Northern Vietnam with Busabout will receive entry and a return gondola ride to the bridge included in the price of their trip. For many young travellers, a full moon party in Thailand is the ultimate bucket list holiday experience. Alongside Busabout’s existing Thai Islands Flexi Moon Party trip (in which passengers can organise their own accommodation) the operator now offers an itinerary which includes seven nights included accommodation, taking the stress out of securing centrally located accommodation on the party islands. Busabout’s Thai Islands Moon Party visits Koh Samui, Phuket, Koh Phi Phi, Koh Lanta, Ao Nang (Krabi) and includes accommodation at the brand new Lubd beachfront resort on Koh Samui, amongst others. The first departure is 20 December 2018 and is priced from $1089 per person. Busabout’s Asia 2019/20 brochure is out now. For more information, speak to your local sales representative, visit www.busabout.com, all 1300 287 226 or visitFacebook and Instagram.